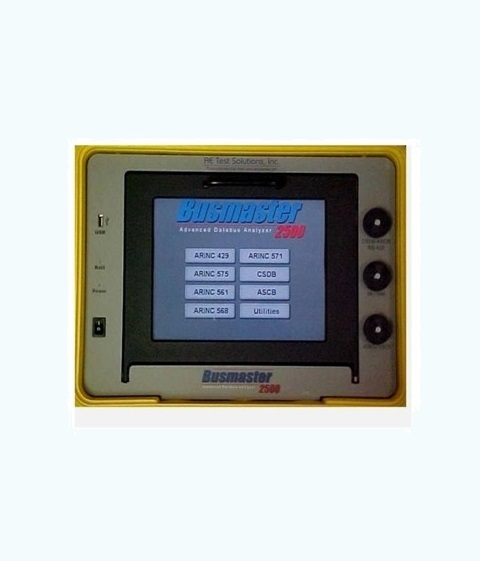 Aero Express is an Authorized Distributor for the AE Test Solutions Busmaster 2500 Test Set. Data can be programmed to change on multiple labels simultaneously. Data change can be either ramp or sinusoid (wave). Start point, stop point and rate can be independently programmed for each label. Example: Program the Busmaster to simulate an air data computer flying from 0 to 50,000 ft and back to 0 at a specified rate (slewing). Express Calibration is an Authorized ISO-17025 Calibration and Repair shop for the AE Test Solutions Busmaster 2500. Visit www.expresscal.com for full capabilities.